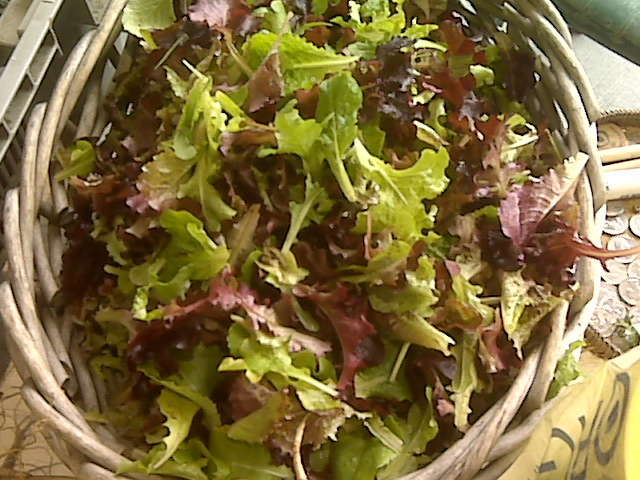 Curly has a great variety of salad greens this year including a salad mix. The Lloyd Farmers Market is held on Tuesdays from 10am – 2pm. The market runs every week, year-round, except for December 25th and January 1st, when we will be closed for holidays. The market is held under the gazebo in the Oregon Square Courtyard on NE Holladay Street between NE 7th Ave and NE 9th Ave. (map) The 7th Avenue MAX stop is across the street. For general questions about the Lloyd Farmers Market, please contact Francesca Benedetti , the market manager. Enter your email address to subscribe to the Lloyd Farmers Market blog and receive new posts by email.